Nine days. Thousands of new customers. Every day. For 2018, the Minnesota State High School Clay Target League expects to host more than 350 high school teams featuring more than 12,000 student athletes participating in the spring season in one of the largest youth shooting sport programs in the country. 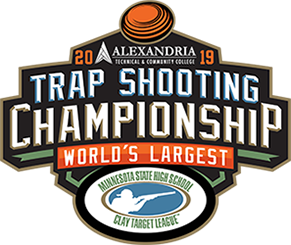 The season will culminate in June with the 2018 Minnesota State High School Clay Target League Championship in Alexandria. All participants in the spring season are invited to compete in the nine-day event that is expected to host more than 30,000 attendees including more than 8,000 youth participants. Don’t miss this exciting opportunity to support youth shooting sports in Minnesota AND promote your organization’s products and services to thousands of shooting sport enthusiasts. 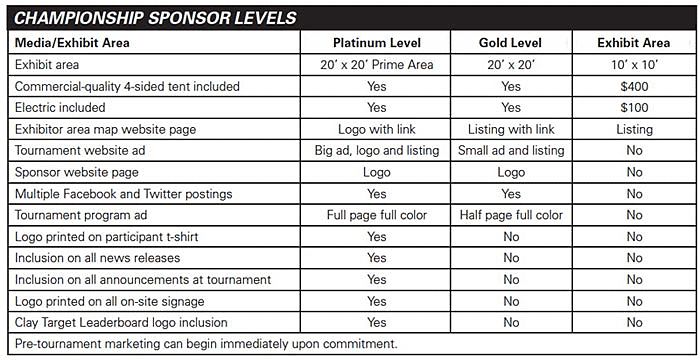 Exhibit areas at the tournament and expansive key sponsorship packages maximize the reach and frequency of your brand and products. 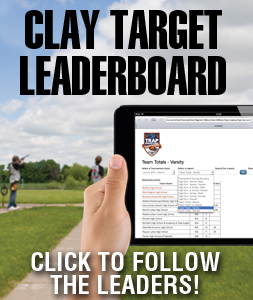 The Minnesota State High School Clay Target League is a 501(c)(3) non-profit organization and an independent provider of shooting sports as an extracurricular co-ed activity for high schools. The organization’s founding value propositions are prioritized by safety, fun and marksmanship – in that order. Today, with the incredible support of volunteer coaches, schools, gun clubs and parents, the Minnesota State High School Clay Target League is stronger than ever and with your support, the League will continue it’s mission to introduce more young people to shooting sports. Reach thousands of new shooting sport enthusiasts each day. As a sponsorship supporter you will market your organization to thousands of hunting and shooting sport enthusiasts before, during and after the tournament while helping the League’s efforts to introduce more young people to shooting sports. More than 25,000 tournament attendees over nine days. More than 500,000 website page views May-June. Coverage by many national and Minnesota media outlets. News releases sent to 1000+ media outlets in the country.